Mole flights. Suitcase mescals. That goat barbacoa. Xico keeps getting hotter. Day of the Dead. A funky stretch of SE Division Street. Tar-black night, eerily balmy. Still, no place feels more alive than Xico. The sharply costum-ed staff could segue into a Tim Burton movie, all sunken black eyes, Grateful Dead smiles, and elaborate bonnets. Candles flicker everywhere. Electronica music quietly burbles, and a shrine to the dearly departed glows in a room that neatly juggles old and new, light and shadow. Half of the tables munch on smoldering heaps of chile-glazed chips. Others excitedly sip flights of “suitcase” mescals, a mysterious collection Xico owner Liz Davis hunts down in dirt-floored Mexican palenques where men still hack agave cores with machetes. (Bottle no. 3 tastes like heavy metal and fine wine.) Meanwhile, margaritas flow at the marble bar, tasting like limes on a campfire. Each one sports a half-rim of rust-red “worm salt,” a condiment traditional to Oaxaca but little known here. It tastes like earth and makes a drink fly. Cut to the kitchen, which traffics in the kind of details known only to possessed cooks. Fresh-pressed tortillas burst with organic corn ground in the back room. They smell like wildflowers. There are at least eight house salsas tailored to different dishes, and four moles, each boasting 18 to 40 ingredients that must be smoked, crushed, pampered, or flamed to smithereens before blending. November’s Day of the Dead festivities inspired a particularly lively vibe, but every night, it seems, this restaurant is having a party. You may have forgotten Xico, but it hasn’t forgotten you. 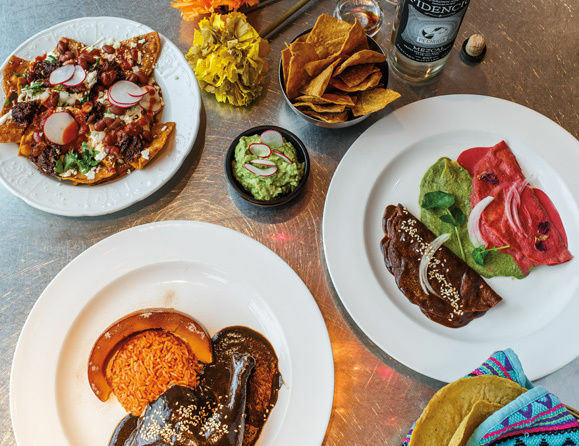 In 2012, two food-savvy Nostrana vets were poised to take Mexican food to the next level with their fresh masa-ed, farm-connected spot. But inconsistency—and not least, waiters who couldn’t be located with a homing device—killed the buzz, and Xico skittered like a scorpion into the cracks of Portland’s food scene. Impressively, even on empty nights, accomplished chef Kelly Myers (whose résumé includes Genoa in its prime) and owner/mescal scout Davis forged ahead with childlike perk and wonder. They researched, they refined, and they pounded out fresh ideas, even when it seemed no one wanted to play. The work paid off. 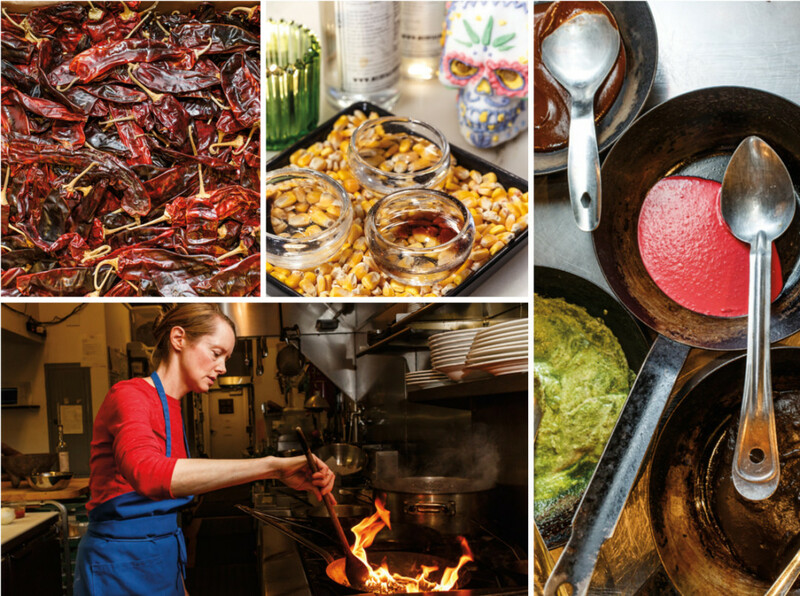 Quietly, Xico has become the Latin equivalent of Langbaan, Nodoguro, and Kachka—local restaurants that break open old cuisines in new ways, with casually refined menus bundling purist notions, playful notes, and handmade rigor. 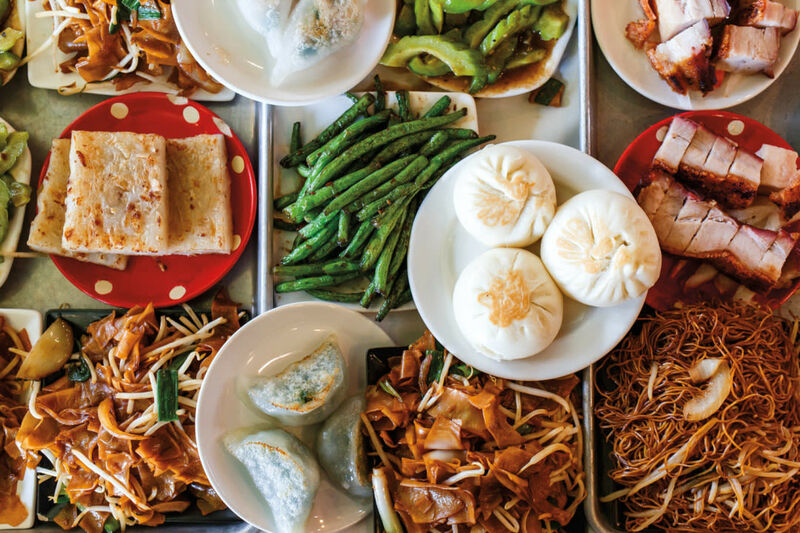 It’s at the vital edge of Portland cooking. The kitchen excels at entrée-size platos and great ingredients, from amaranth-stuffed chiles rellenos to a Jalisco-style posole that juggles satisfying hominy and one fine crispy-sticky smoked pork rib. I’d do voodoo for another taste of the goat barbacoa, slow-roasted in a dried avocado leaf. The succulent shreds hold down just one corner in a landscape of delights: grilled fennel, swooshes of soft Italian kale, red bean refritos of extraordinary creaminess, and, on top, fruity-boozy salsa borracha and jalapeño-fueled pickled vegetables. Xico’s mole fixation plays out in a new nightly “flight” that skids merrily from old-school mole verde (“green” herbs, seeds, tomatillos) to a very con-temporary, very shocking-pink mole rosa, delicately tanged with white chocolate, beets, and rose petals. Texture defines this kitchen’s take, the beautifully silky gloss achieved by crushing the ingredients in a custom-built molino, a rare piece of restaurant bling equipped with Old World volcanic-stone grinding wheels and modern mega-horsepower. Things do falter. One night’s goat liver pâté arrived like a study in brown food and iron supplements, and the wild greens tacos limped to the table, tasting oddly like broccoli casserole. 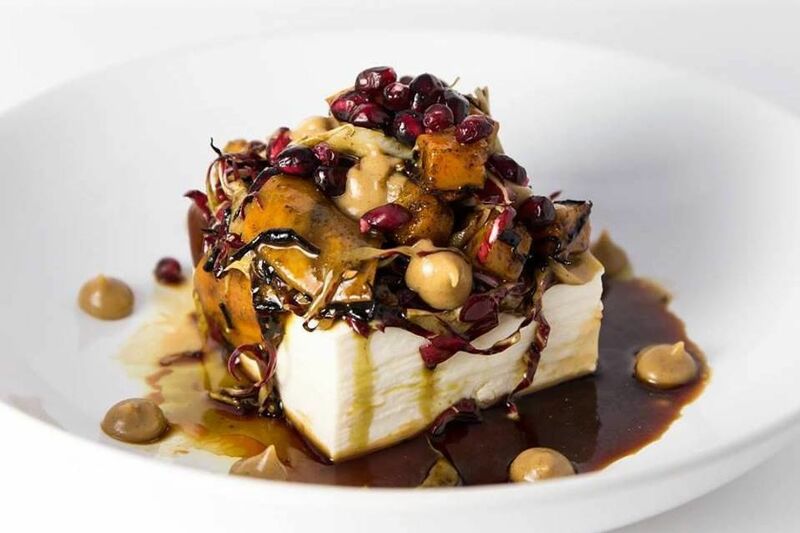 But mostly, Xico delivers the four food groups of dining: a room with character, a cocktail vision, a distinct culinary expression, and desserts in sync with the kitchen. Chile-adept pastry chef Mindy Keith is still evolving, but her best ideas are thrilling, like a killer habanero drinking chocolate, a Mexican-inspired Mounds bar, or super light sopapillas to dip in vats of coconut-laced chocolate and honey. If one dish captures the Xico spirit, it’s happy hour’s totopos con chile deluxe, a nacho-esque mountain of fresh hot chips from fresh tortillas, each crunchy triangle saturated to messy glory in tingling salsa. Emerging from each crack and crevice: crispy bits of chilorio (pork belly), beautiful whole red beans, cooling crema, crunchy radishes, and a positively sultry sauce flashing five toasted chiles. This is the Matthew McConaughey of the chip world—irresistible and crazy intense.